Home :: Summer Reading :: St. Joseph Children's Missal by Fr. H. Hoever, S.O.Cist., Ph.D.
St. Joseph Children's Missal by Fr. H. Hoever, S.O.Cist., Ph.D., Imprimatur 1959. Illustrated in full color! 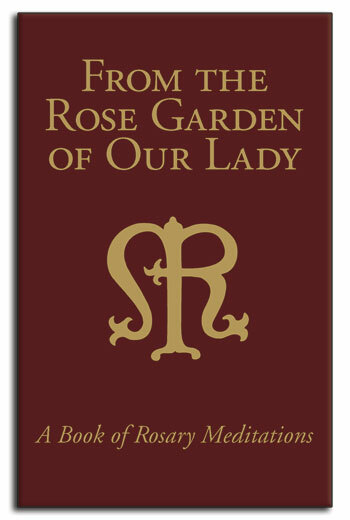 This most precious little missal contains the Mass, Gospel stories for all Sundays and Feastdays, Daily Prayers, Prayers for Confession, Prayers for Holy Communion, The Stations of the Cross, explanation of the Holy Rosary along with all fifteen mysteries, with full color pictures on almost every page! Illustrations and descriptions of the vessels and vestments used in the Mass, as well as a diagram of the “Plan of the Mass,” help little Catholics understand the function and meaning of everything in the Mass. This missal also contains colorful Gospel stories for all Sundays and feast days of the liturgical calendar to engage your child in the Liturgy of the Word: stories such as “The Birth of Jesus” on Christmas Day, “The Wedding Feast at Cana” for the 2nd Sunday after the Epiphany, “Jesus Promises to send the Holy Ghost” on the 4th Sunday of Easter, and over fifty more! In addition to prayers before and after Holy Communion and Mass, it also has many daily prayers, such as morning and evening prayers; acts of faith, hope, and love; the Stations of the Cross; the Mysteries of the Rosary; a guide to Confession, and more.